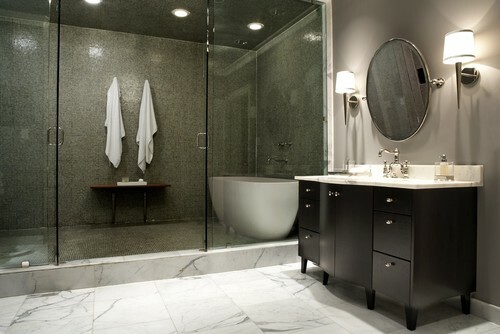 One of the big decisions to make when designing a bathroom is the type of vanity to install in your new space. Your basic vanity styles to choose from are freestanding, floor-mounted, and wall-mounted (also called a floating vanity). Here's a look at these different vanity options. A floor-mounted (also called built-in) vanity is basically a cabinet attached to the floor. This traditional, "kitchen cabinet" style of vanity typically offers the most under-counter storage space, and you don't have to worry about cleaning the floor underneath because the vanity cabinet usually goes all the way to the floor on all four sides. Another bonus to this style is you can use less floor tile to finish the space. 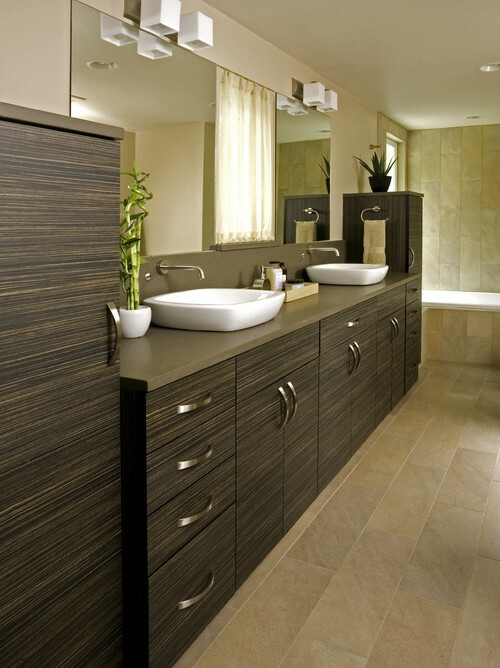 Built-in vanities run the gamut of styles from traditional to rustic to modern. 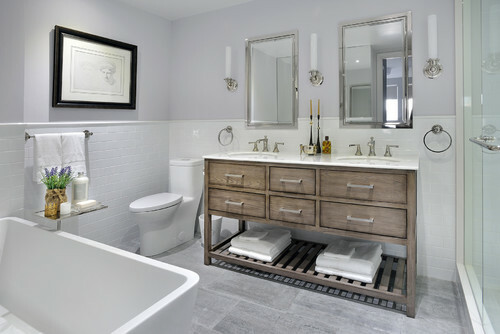 Photo by MA Peterson Designbuild, Inc.
A freestanding vanity does not mount to the floor and often looks more like a piece of furniture than cabinetry. 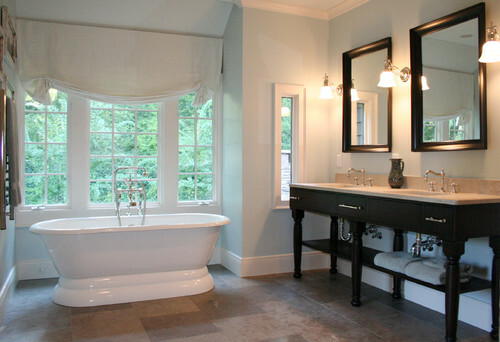 In fact, real pieces of furniture such as new or antique dressers are often repurposed into bathroom vanities. 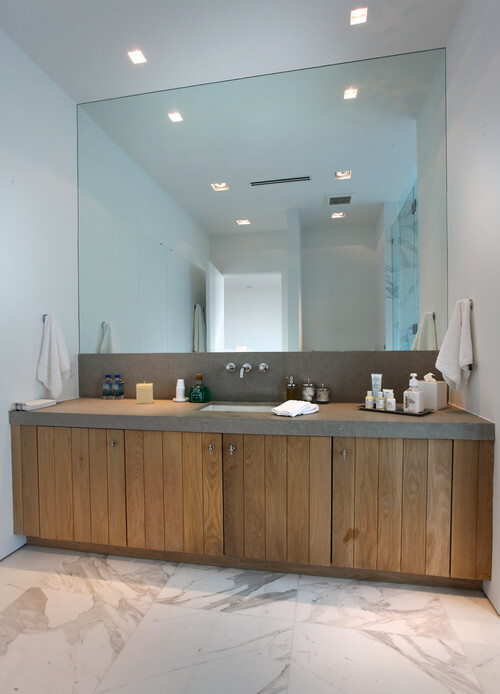 Freestanding vanities offer many finish options, styles, colors, and features. 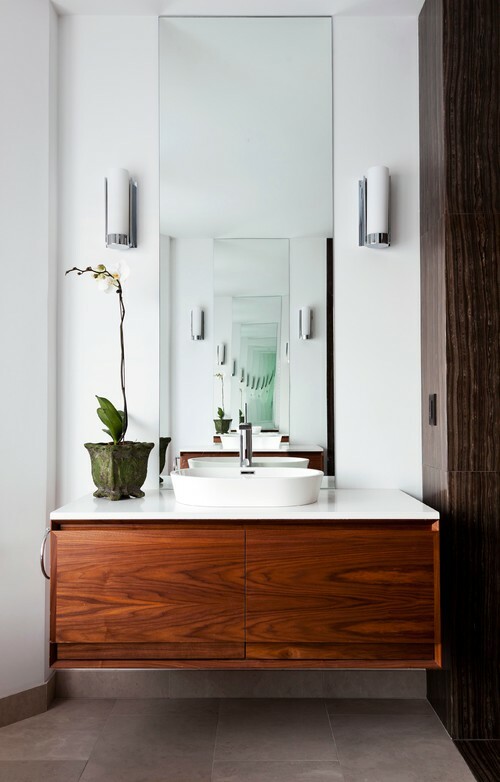 Photo by Estee Design Inc.
Once the realm of commercial hospitality design, wall-mounted (or floating) vanities have become extremely popular in residential design for good reason. 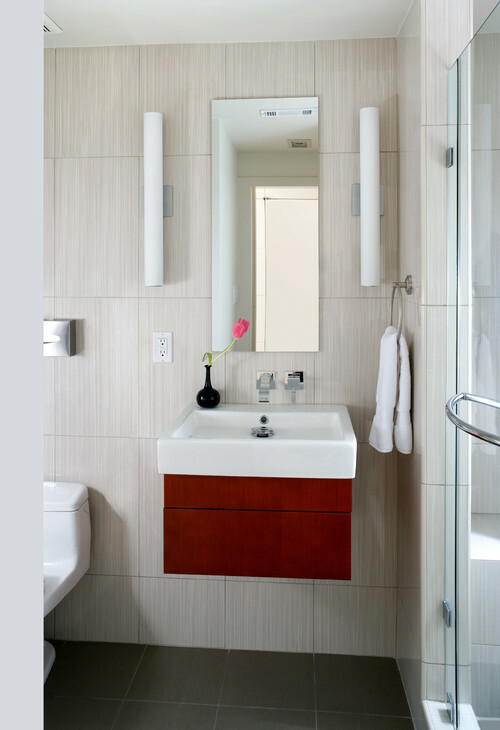 Floating vanities offer flexibility to install at whatever height suits the user best, they make any bathroom feel spacious and airy, plus they are easier to clean underneath. 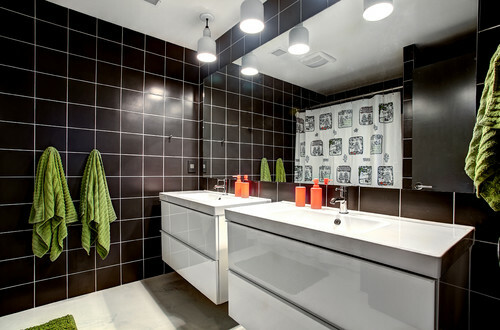 Because wall-hung vanities take up less space, they are a great option for smaller bathrooms. Whatever style vanity you choose, you can depend on The Original Granite Bracket® to provide the countertop, shelf, or vanity brackets you need to safely and beautifully support your investment. Click here to see all of our support bracket options, and be sure to connect with us for guidance in making your selections – we're here to make sure you get the right bracket for your project!